Avoid running injuries- Footwear and should I forefoot run? Avoid running injuries- Footwear and should I forefoot run? Questions from the Clinic- What footwear should I wear and should I forefoot run? By Dr James Debenham PhD), Director and Senior Physiotherapist, Researcher, Elite Triathlete and Coach. 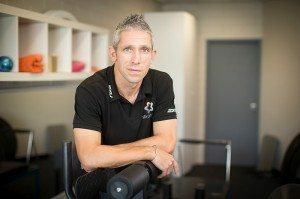 In my role at Star Physio, I spend a great deal of time working with recreational and elite athletes as they return from a variety of running-related injuries. Some injuries are mild while others are severe and have caused limited sports participation for many years. Common themes emerge when working with these athletes and I thought I would share my thoughts on one topic that has been in the press this week. The study investigated an important biomechanical measure related to running – instantaneous loading rate (ILR), which is how quickly force develops in your leg when your foot hits the ground whilst running. The investigators examined if a difference existed in ILR between ‘minimalist’ shoes vs. ‘traditional’ shoes, and between ‘forefoot’ vs ‘rear foot’ running. They found that by running in minimalist footwear with a forefoot strike the ILR were significantly lower than any other condition. This is all well and good (and is consistent with my clinical and biomechanical suspicions), and the researchers were very well-behaved in not making inferences about the impact this may have on training or injury. Unfortunately, the popular media has been a little naughty, and has taken the opportunity to extrapolate these findings to advise the public that they should immediately start running in minimalist footwear with a forefoot running pattern. Now I am sure that you don’t need me to tell you to be wary of the excessive noise found in the media (and whilst I get that this blog could also be considered noise, I hope that my understanding of biomechanics and running injury mitigates that a little!). The point of this blog is to actually put these findings in context that is relevant to all runners, and especially those with injury concerns. 1) Load management is the most important aspect of running. The human body is highly adaptable given appropriate physiological stimulus. This means that as a runner, the frequency, volume and intensity of your running, if dosed appropriately (for you) and progressed consistently and conservatively (for you) over a long period of time will stimulate your body to adapt in manner that it is beautifully designed to do. With the runners I work with, the most critical aspect of my job is supervising this process. To give you an idea, we start with frequency (I want my runners running 3-4 times per week as soon as possible), but we always eliminate intensity and we start with a dose that is tolerable. For example, 10 rounds of 30 s jogging and 30 s walking is doable for almost anyone coming back from injury). From there we progress the volume, then the intensity, always directed towards the goal of the individual. 2) Strength confers protection beyond anything else! For those who have worked with or followed Star Physio over the years, you will well understand our evidence based push to make amateur and professional athletes strong and bulletproof! We are fortunate that the physios at Star have a wealth of expertise in prescribing strengthening programmes for athletes returning from injury. Whilst most people think of strength in terms of performance (or possibly aesthetics), an often forgotten aspect of strengthening is the fact that it protects the body. If you have had a tendon injury, stress fracture, or even an ACL reconstruction, one of the critical roles of muscle is to ‘buffer’ these damaged tissues and protect them from load. Put simply, as a runner, if you have more strength, your body will tolerate more running and your progress will always be quicker and safer. However; the muscles that require strengthening and the manner by which this strength is developed is rather specific, and we are fortunate that at Star Physio, we have a group of physiotherapists with expertise specifically in this area. – If you are going to change something (including shoes! ), do so very carefully! – Follow advice from experts and in particular expert physiotherapists if there is pain or injury involved. Please feel free to use and share this blog post and information but please acknowledge James Debenham from Star Physio as author. His expertise in this area has developed over a 15+ year career as a physiotherapist, researcher and triathlete. Dr James Debenham (PhD) is a director and senior physiotherapist at Star Physio West Perth, as well as a lecturer and researcher at Notre Dame University in Western Australia. He is an invited presenter at conferences and courses internationally and is widely regarded as a world leader in tendon injuries and rehabilitation. In his spare time James is one of the best age group Ironman Triathletes in the world, recently winning his age group at the Cairns 70.3 and soon competing in the Frankfurt Ironman 2018. James is available for consultation at Star Physio West Perth. For appointments call 92124254 or email http://info@starphysiowa.com.au.